Theatre Credits include: Lou in Unexpected Joy (Southwark Playhouse); Bertha in Jane Eyre (Bristol Old Vic; NT & International Tour 2016; UK Tour 2017); General Cartwright in Guys & Dolls (UK Tour; Manchester Royal Exchange Theatre); Muna in The Infidel (Theatre Royal Stratford East); Vocalist in Monty Python Live at the O2 & NT 50th Anniversary (National Theatre); Funmilayo in FELA! (National Theatre, Broadway & World Tour); The Mikado in Hot Mikado (Watermill Theatre / UK Tour); Cindy Lou in Carmen Jones (Sheffield Crucible Theatre / Old Vic Theatre); Rent Party (Stratford East); Kiss Me Kate (Old Vic and Savoy Theatre); Ain’t Misbehavin’ (Tricycle Theatre / Lyric Theatre West End); Bayo in Any Which Way (Directed by Maggie Norris); Maria in Porgy and Bess (Glyndebourne & Savoy Theatre); Miss Sherman in Fame (Aldwych Theatre); Featured Vocalist in Elsa Canesta & L’Eveil (Rambert Dance Co.); The Diva in The Fat Lady Sings (Kit & The Widow, UK & International Tour); Madam Butler & Miss Mamie in Simply Heavenly (Young Vic & Trafalgar Studios). TV and Film Credits include: Florence Foster Jenkins; Grace Draper in Cuffs (BBC One); Soloist in Wide Sargasso Sea (Kudos); Susan Hibert in Casualty (BBC Television); Vocal Soloist for Songs of Praise (BBC Television); Featured Singer in Alice in Wonderland (B.S Films). Workshops credits include: Mrs Obuko in Only Fools and Horses (Directed by CJ Ranger); Louise Brown in Ghost the Musical (Directed by Matthew Warchus): Featured Singer in Murder in The Cathedral (Directed by Elliot Cowan at Wilton’s Music Hall). 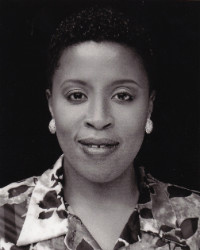 Recording Credits include: Clement Ishmael’s Poetry in Song, Featured vocalist for Feel The Spirit, A Christmas Festival, Messiah and Distant Land, all conducted by John Rutter (Collegium Records), and her solo jazz album Cocktail. Concert credits: The Royal Philharmonic Orchestra, conducted by John Rutter, Guest soloist with the Halle Orchestra, The Liverpool Philharmonic Orchestra, and all of the BBC orchestras. Melanie also performed Feel The Spirit & Distant Land at New York’s Carnegie Hall.